Witness was formed in September 1977 by four members seeking to put together a top 40 band. The founding members were Roy Altemus (Bass), Tim Rooney (Drums), Joe Nicastro (Keyboards), and Tom Golden (Guitar.) The band's name was idea of Tim Rooney's wife. 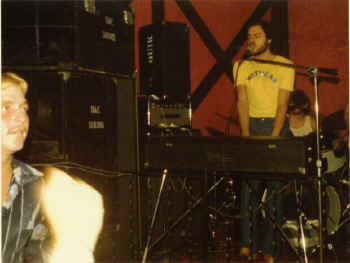 The newborn band needed some management, and at the suggestion of Roy, hired Ted Scandlin of Morgan Management Company in early 1978. 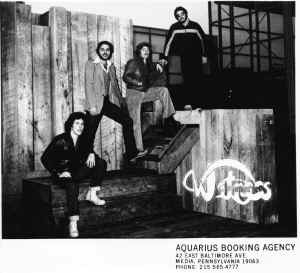 The band began playing "Gigs" under the booking of the Aquarius Booking Agency. Sound and lighting were being provided by Deems Palmer, but Deems had only signed on to do a few gigs. Ted brought in Ken "Snake" Graupner who he had worked with for many years to take over sound. 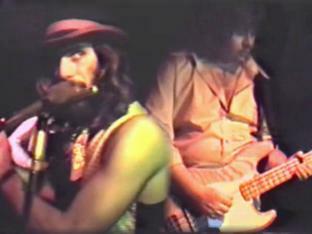 At left, picture from a 1977 gig. There is some great irony in this shot. The sound equipment (DAE) had been mine at one time, but I had sold it to Deems. It's odd that it ended up with Witness years before I joined. Also, the monitor is stenciled "Quick" which is another band I worked with. I did not join Witness until 1979, by then the equipment was no longer being used. It does however reappear in 1980 for the London Ale House gig. I do not remember if Ken rented it from Deems or how it came into use. Roy was replaced by Bassist Bill Bideback. (Known as Billy B.) The next change was guitar. 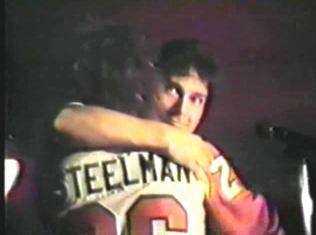 Tom was replaced by two guitarists; Jim (Steelman) Disston, and his brother Michael. There is a footnote in the Morgan Management personnel file: Michael Disston- Also plays flute. "JD, you have to see these guys! Those brothers have more talent then they know what to do with!" At right, a YouTube video This rare footage from 1979 already shows the talent and playfulness of the Disston brothers in an early version of the Tull show. This combo piece features Bourree among others. Although there is not much lighting and the audio is a little shaky. There were two more changes that took place before things really took off. 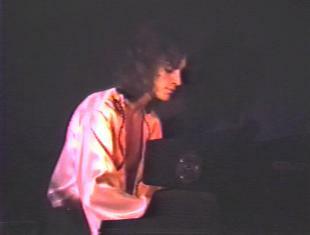 The first was a new keyboard player Michael La Buono. Michael had a lot of staying power and in fact stayed with the band for fifteen years! Michael joined on January 5, 1979. Michael playing "Root Beer Rag." Pretty tricky on a Wurlitzer. Witness ended up booked at a shore club called The London Ale House in Wildwood New Jersey. The gig was to last eight months! 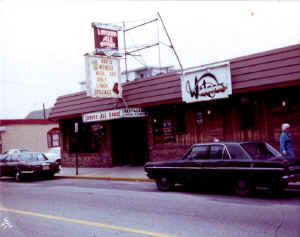 The Ale House became the crucible that fused Witness into what it would become. A strong local following began to form. It became obvious that Michael Disston could not provide all the lead vocal night after night. One last faithful decision was made: The band hired a second singer Billy Spence on Memorial Day, 1979. One other small change was made in 1979. The band changed agencies to Apollo Artist Attractions (Freddy Baker) which was more rock oriented than Aquarius. At right, The London Ale House, complete with Witness Billboard. Billy was not only a very talented singer, he was also a good showman as well as an original writer. The combination of Billy, covering the pop music of the day along with a few originals thrown in, and Michael doing a fantastic Tull show was like someone had lit a fuse on a Saturn Five rocket engine! The popularity skyrocketed, and continued to for many years! At left, the beginnings of the ELP show. 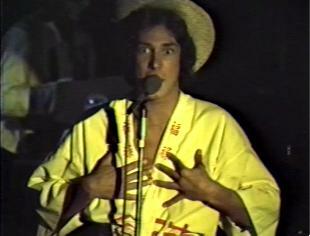 A short YouTube clip of Billy singing "The Sheriff", before the introduction of stage lighting. As the season at the Ale House neared it's close, it was time to take the show on the road. It is at this point I received yet another call from Ted. The band had quite literally grown roots into the Ale House carpet. 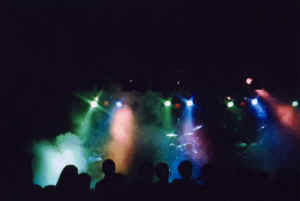 I had been doing lighting for national acts at venues up in Allentown and in the theater circuit in Philadelphia (Schubert, Academy of Music, Forest Theater, etc.) I had also been working for a great local band called Bamboo. Ted realized that the band lacked the technology to take the show they had perfected at the Ale House on the road while still maintaining the same level of professional excellence. It didn't take much wooing. Once I finally saw the act, I knew this was where I needed to be. Poor Bamboo. Not only did I leave, but eventually their famous soundman John Higgins as well as their stage manager Purr joined the migration to Witness! Witness did not end when I left in 1986. In fact, the band continued on for over seven years and didn't close up shop until the early 90's ! At some point, I will sit down with Mitch (who was with the band until the end) and write the ending chapter to the Witness story. But is it the end? One never knows with bands! PART 2 "Prime Time, The Early 80's"